No matter the industry or application, the right illuminated components can make all the difference in improving the human-machine interaction, which ultimately leads to better outcomes. In many cases, decisions about which indicators to use aren’t made until late in the design process, when the footprint and space of the control panel or PCB can cause limitations on certain indicator solutions. To help designers and engineers make more strategic lighting decisions early on, we’ve developed the following list of frequently asked questions when it comes to light pipes. For additional information, download VCC’s light pipe brochure. 1. What is a light pipe? An LED light pipe is a rod made of acrylic or plastic that is used to transmit light from the light source at the printed circuit board (PCB) to the indicator panel of a device. 2. What types of light pipes does VCC offer? VCC offers clients an extensive light pipe portfolio with solutions for essentially every need and design configuration. If your product requires a custom design, our team can develop the ideal solution, then test and prototype it before production. Rigid – light pipes made of optical-grade polycarbonate or acrylic that can be vertical or right-angle in orientation. Rigid light pipes are designed to move light short distances. Flexible – light pipes made of fiber optic material that can be bent to up to 30 degrees to accommodate the design. Flexible light pipes are designed to move light longer distances than rigid versions. Board mount – light pipes that are mounted to the printed circuit board (PCB) at the power source of the device. 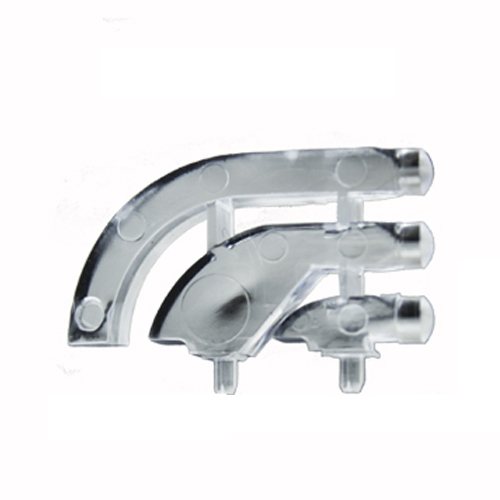 VCC offers board mount products for rigid and right angle light pipes. 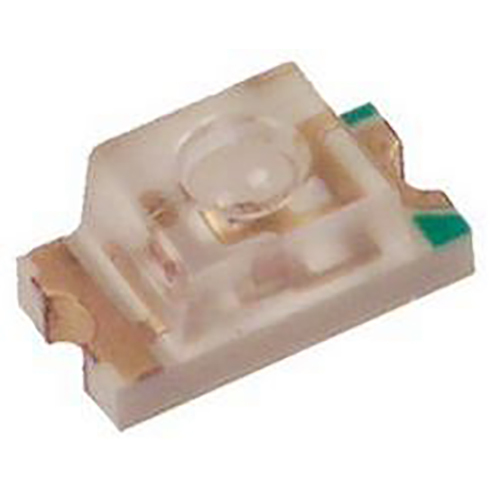 Surface mount – light pipes that are mounted to the control panel of the device instead of the PCB. VCC offers both flexible and rigid light pipes that can be surface mounted. Right angle – rigid light pipes made exclusively for 90-degree angle alignment to the LED or board. 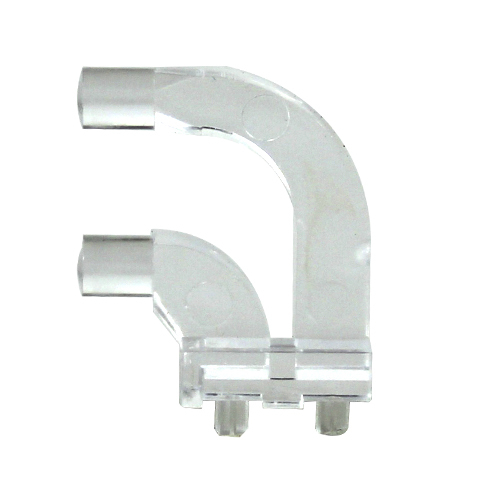 VCC offers right angle light pipes in 1-position, 2-position, 3-position and 4-position board mount options. Press-fit – light pipes that are installed directly to the indicator panel, allowing for efficiencies in production due to a press-fit design. Moisture-sealed – for harsh environments including outdoors, VCC offers a range of light pipe solutions with added protection from dust and moisture for rigid, flexible, board mount, panel mount, right angle and through hole designs. VCC can design custom light pipes to your specific needs and applications, allowing you to have total control over your illumination. 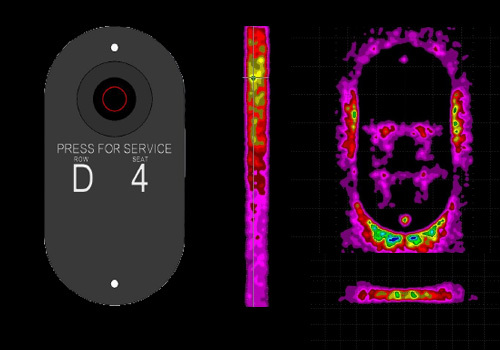 Our team can design and run light simulations to determine optimal performance while reducing hotspots and light leaks, then develop a custom light pipe to fit your ideal illumination specifications. In most cases, a MOQ is required for a custom light pipe. Another alternative would be modifying an existing light pipe design by replacing materials, length or light characteristics. Contact VCC to learn more. 3. Does VCC customize to the standard light pipes? VCC can customize our existing light pipe products, depending on the application, requirements and light specifications needed. In some cases, a fully customized solution may be more cost-effective than modifying an existing design. Our team is happy to assist you in exploring customization options for your light pipe needs. 4. How much light from the LED is actually transmitted by the light pipe? There are several factors that can impact the percentage of light being transmitted, including the viewing angle of the LED. Designers can expect the light pipe to transmit roughly 80 to 90 percent, depending on the design. This amount does not change whether your light pipe is made of optical-grade polycarbonate or optical-grade acrylic. 5. What are the ideal operating and storage temps for VCC light pipes? The storage and operating temperature will vary by the type of material the light pipe is made from. 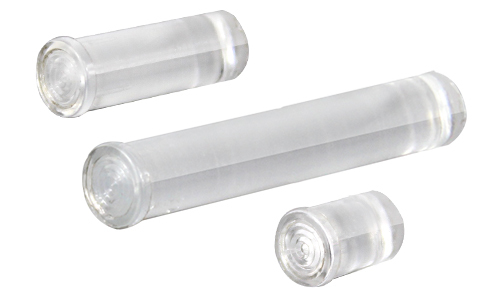 Storage temperature – as a general rule, polycarbonate and acrylic light pipes can be stored at temperatures ranging from -100℃ to 25℃ with minimal degradation. The lower the temperature and humidity, the less degradation of the device. Operating temperature – this will depend on how much strain is put on the light pipe in its environment. If there is very little stress, the operating temperature can range from -100℃ to 100℃ for acrylic and -100℃ to 125℃ for polycarbonate. All other light pipe materials should be determined on a case-by-case basis. Refer to the data sheet of each individual product or contact VCC to obtain specific temperature information. 6. What is the minimum allowable distance between a light pipe and the LED? The closer the light pipe is to the light source, the more efficient the light transfer will be. As long as the light pipe is rated for the amount of heat the LED puts out, it can be positioned with no distance between the two. However, if the LED produces more heat than the light pipe is rated for, refer to your product data sheet or contact VCC for minimum distance guidelines. 7. How do you minimize light bleeding between adjacent light pipes? To minimize light bleeding, use an LED with a narrow viewing angle of 160 degrees or less, and position the light pipe and LED no more than .05” apart. The VCC team specializes in running light simulations to determine how light will behave in light pipe prior to production. We can test standard products or create a full custom design and prototype to suit your needs. 8. What are the benefits of using press-fit light pipes? Press-fit light pipes can greatly improve manufacturing efficiencies since only access to the front of the panel is needed during assembly. OEMs can utilize automation to pick and place the light pipes into the panels instead of costly and time-consuming manual labor. 9. Which LED mounting options are compatible with light pipes? VCC’s light pipes deliver maximum design flexibility, and are compatible with a variety to types of LEDs. In addition to versatile mounting options, our light pipes provide additional flexibility because physical contact between the light pipe and LED is not required. Flexible light pipes work well with through-hole LEDs and can be mounted from the panel or the back of the device. Right-angle through hole LEDs work well with flexible light pipes that are mounted to the PC board or panel. For LEDs that are surface mounted the the panel, flexible and rigid light pipes are options available. Flexible right-angle light pipes that are mounted to the PC board are ideal for right-angle surface mount LEDs. 10. How far from the LED does the light pipe need to be positioned? For ideal illumination whether using a through-hole or surface mount LED, the light pipe should be positioned less than .05” from the LED. And the LED should have a narrow viewing angle of 160 degrees. 11. Why don’t you offer more board-mount light pipes? 12. Why is electrical isolation a benefit of using flexible board mount light pipes? When flexible light pipes are board mounted, they receive the added protection of electrical isolation. This isolation can help prevent damage due to vandalism of the exterior of the device, as well as protection from electrostatic discharge (ESD). Even static can cause ESD and damage electronic devices, so VCC’s FLXR series light pipe can help prolong the life of the device and prevent dangerous surges in electricity. 13. Which LED is better for use with light pipes, one with a wide viewing angle, or a narrow angle? Exact specifications may depend on the design of the device, but as a general guideline, the wider the viewing angle, the more light loss. With a narrow viewing angle, such as 160 degrees, more light is directed into the light pipe and less is lost. Contact VCC for assistance in determining the ideal specs for your design needs. 14. What’s the difference between a panel mount and a board mount light pipe? To accommodate the design of your device, light pipes can be mounted on either the control panel or the PC board. Panel-mount light pipes are attached directly to the indicator panel, which can deliver increased efficiencies during production if using press-fit light pipes. 15. Are VCC’s light pipes waterproof? 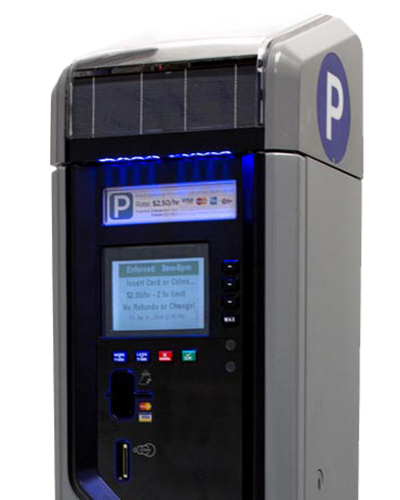 VCC provides a wide range of IP and NEMA-rated products for a variety of applications. Many of our products meet NEMA 4 and IP56 standards. 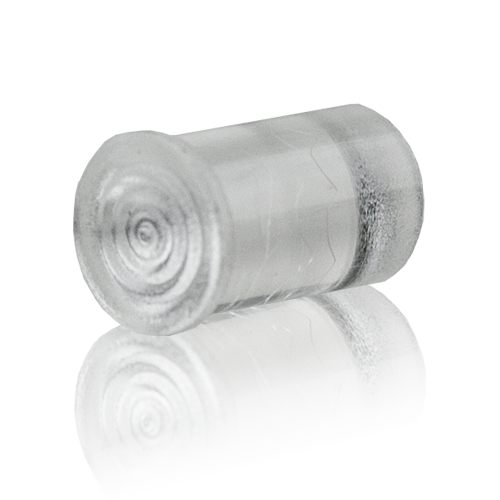 However, even higher moisture protection of NEMA 6 and IP67 can be attained on specific products, or by using additional seals or threaded construction. Download the light pipe brochure or refer to the product data sheet for more information. 16. What is a Fresnel element? A Fresnel lens diffuses the light, making it ideal for environments where ambient light or a more high-contrast, concentrated illumination is required. Fresnel lenses are best suited for applications where wide viewing angles a daytime visibility are crucial for effective status indication. A series of concentric grooves bend parallel light rays to one focal point for high-contrast, no glare illumination. 17. Are light pipes suitable for high-vibration applications? For high-vibration applications, an additional grommet or spring retainer can be used to help secure the light pipe to the panel. For light pipes (LPC and LPCR) that are .250” to .500” in length, use the Grommet retainer. For LPC and LPCR light pipes that are between .500” to 1.000”, use a Spring Retainer to secure the light pipe to the panel. Board-mount light pipes are available in rigid and flexible options. With board-mount light pipes, the design may be limited, as everything must be designed around the light pipe and spacing of the board. However, if you can achieve your desired results with a standard board mount light pipe, you can take advantage of low cost sand short lead times. 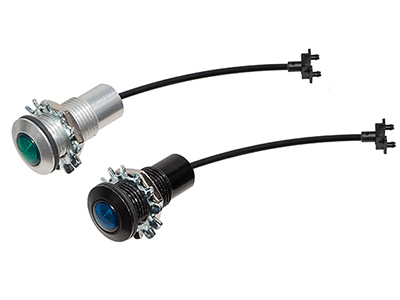 Contact VCC to determine which mounting option would be ideal for your design. Of course, a custom light pipe could also be the right solution for you. 18. Can I cut the light pipe myself? Adjusting the length of a light pipe by anyone other than the manufacturer is not recommended. Cutting the light pipe will change the optical characteristics, making it less effective in the device it was specified for. Any bubbles or scratches in the light pipe will ruin transference, as light will not be directed where it was intended. VCC’s team can customize light pipe length for you in ways that do not yield less-than-optimal optical characteristics. 19. What is the maximum length of your rigid light pipes? 20. What is the maximum length of your flexible light pipes? Because flexible light pipes are made of fiber optic materials, there is no limitation on the length of a flexible light pipe. However, the desired light and optical properties of the light pipe may dictate the appropriate size. Contact VCC’s team to discuss your specific design goals. 21. How far can the flexible light pipes bend? To provide designers with maximum versatility, VCC’s flexible light pipes can bend all the way to 30 degrees. Of course, rigid light pipes should not be used in designs where they will bend. 22. How does a light pipe provide electrical isolation from the PCB? The light pipe itself is made of acrylic or polycarbonate, and therefore does not conduct any electrical current from the front panel to the board — it simply transmits the light. 23. Are light pipes ideal when the device has several indicators? Yes, when a device has multiple light sources, light pipes are recommended over panel mount indicators (PMIs) in most cases. Because PMIs typically have a higher cost per indicator, using several PMIs on a device would drive up the cost. In most cases, we would recommend light pipes for a design with multiple indicators. Contact the VCC design team for help comparing options for your device. 24. Can light pipes be used in outdoor applications? Light pipes that include the appropriate level of moisture protection for their applications can be used outdoors. VCC has a wide array of rigid and flexible light pipes that are moisture-sealed and ideal for harsh environments like the great outdoors. In addition to moisture protection, the FLXR Series litepipe also features ESD protection and is resistant to shock and vibration. It also has a low-profile design that helps protect against vandalism. 25. Does VCC offer fully custom light pipes and light pipe design services? Yes, VCC offers a full suite of custom light pipe design and testing services. Using the latest light modeling software, our team can run light simulations, such as ray tracing to track the path of light through the light pipe to deliver the ideal solution. We can also use a 3D printer to prototype the light pipe and further test prior to tooling the custom solution, ensuring the ideal viewing angle and lighting properties are achieved. 26. Is viewing angle of the LED important when using with a light pipe? Yes, viewing angle is crucial when using a light pipe. The narrower the angle of the LED, the more light can be transmitted through the light pipe to the indicator. VCC recommends a viewing angle of 160 degrees or less. 27. What is the UL rating for VCC’s light pipes? 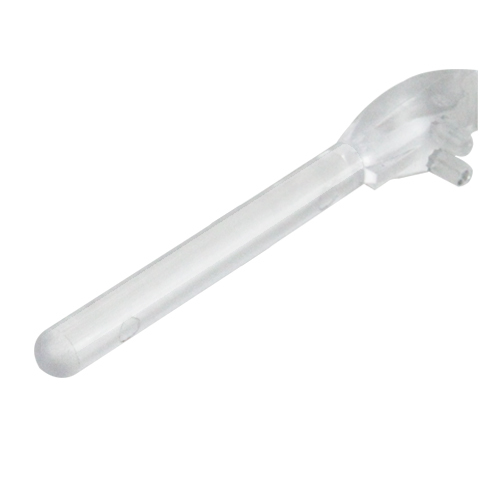 The UL rating will vary by light pipe material, as VCC offers both acrylic and polycarbonate options. Most of our light pipes have received a UL94V-0 rating, the best in the industry. The product data sheet will always list the specific UL rating. In some instances, manufacturers and designers are required to obtain the UL Yellow Card for Plastics to demonstrate the components have passed rigorous safety and performance testing by Underwriters Laboratories and received a UL Recognized Component Mark. If you need to obtain the UL Yellow Card for Plastics, contact the VCC team and we will provide it for you. 28. What is the minimum order quantity (MOQ) of a customized light pipe? The MOQ for a custom VCC light pipe will depend on the order volume and customization required for the design. In some cases where minimal retooling of our equipment would be required, smaller custom orders can be filled. Please contact our experienced team to discuss your specific design needs. 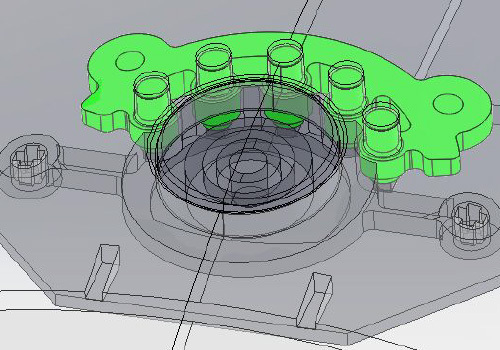 Our experts can work with you to design, tool and manufacture exactly what you had in mind. 29. Can a light pipe itself be used as an illumination device, or is it strictly used as an indicator? 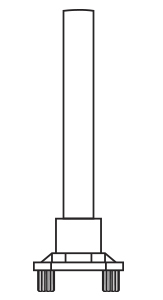 A light pipe diffuses light, and therefore would not be an effective illumination device, such as a flashlight. VCC’s light pipes are to be used exclusively for status indication and work in tandem with the appropriate device design and power source. 30. Does VCC manufacture flexible light pipes? Yes, VCC manufactures our light pipes at our production facility in Tijuana to maximize efficiencies close to our San Diego headquarters. Both VCC facilities are registered to ISO 9001 2015 Quality Management System standards. This means our systems governing the design, development, manufacturing, delivery and internal customer service processes have been verified by third-party audits. Custom, standard or somewhere in between, VCC has the solutions to maximize efficiencies and effectiveness.